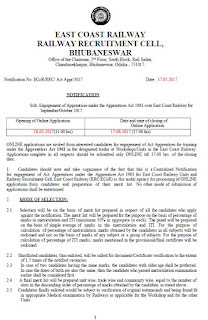 RRC Bhubaneswar Apprentice Recruitment 2017 Apply for 588 Apprentice Posts - East Coast Railway, Railway Recruitment Cell, Bhubaneswar had issued advertisement for 588 ITI Trade Apprentice posts. Application filling started from 18 May 2017 and Last date to apply is 17 June 2017 up to 05:00 pm. 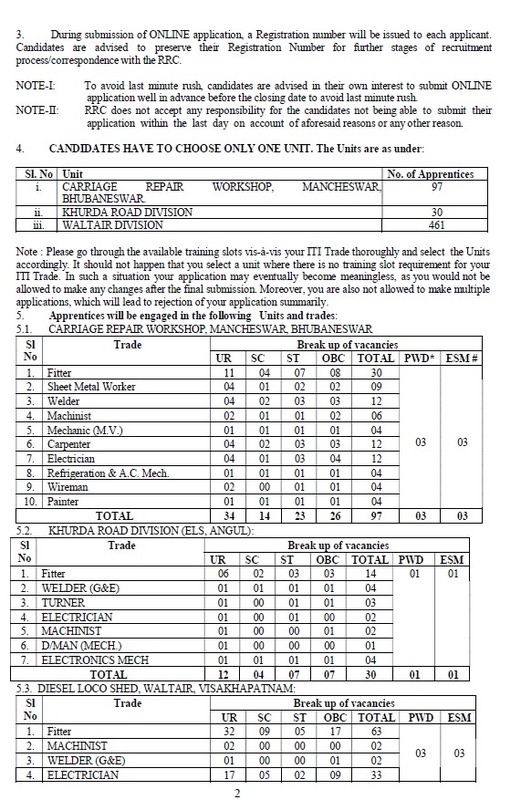 RRC Bhubaneswar, is inviting online applications from interested candidates for engagement of Act Apprentices for training in the designated trades at Workshops/Units in the East Coast Railway. Applications complete in all respects should be submitted only ONLINE till 17:00 hrs. of the closing date. Age Limit: 15-34 years as on 17.06.2017. 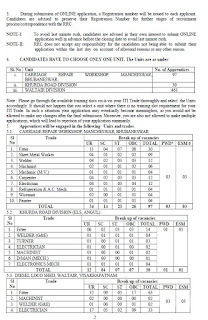 Candidates should have passed 10th / matric examination with 50% marks and ITI / NCVT certificate in relavent trade. Selection Process: Selection will be on the basis of merit list. 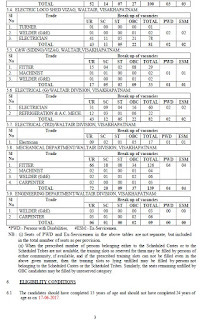 The merit list will be prepared on basis of marks in matriculation and ITI (minimum 50% in aggregate in each). The panel will be prepared on the basis of simple average of marks in the matriculation and ITI. 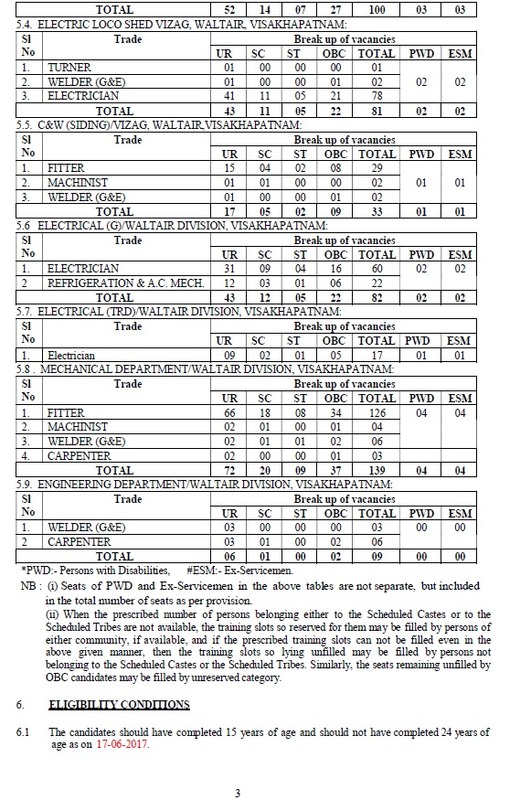 1.5 times of the vacancies, Shortlisted candidates will be called for document/Certificate verification. Application fee (Non-refundable) – Rs.100/- (Rupees One Hundred only). Payment is to be made online through payment gateway as part of online application process. No fee is required to be paid by SC/ST/PWD/Women candidates. Application form filling starts: 18.05.2017. Last date: 17 June 2017 up to 05:00 pm. Fee Payment Closing date: 17.06.2017. 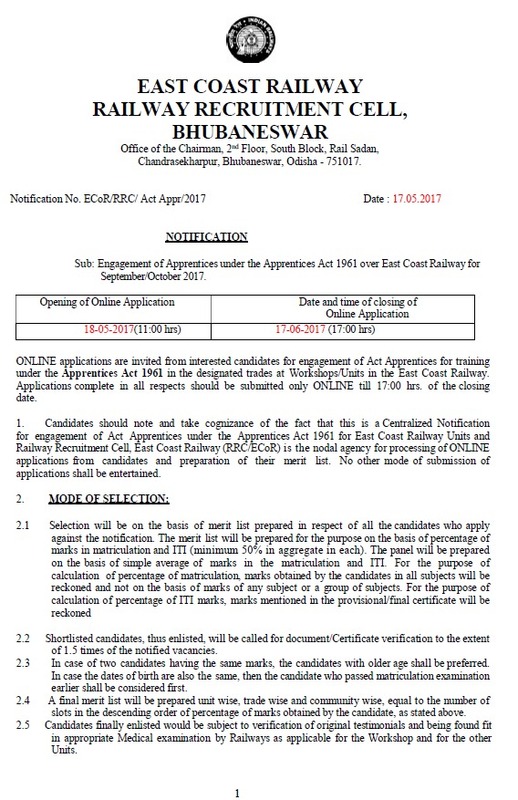 For all details, you should read the RRC Bhubaneswar ITI Apprentice notification and check Online form from below.